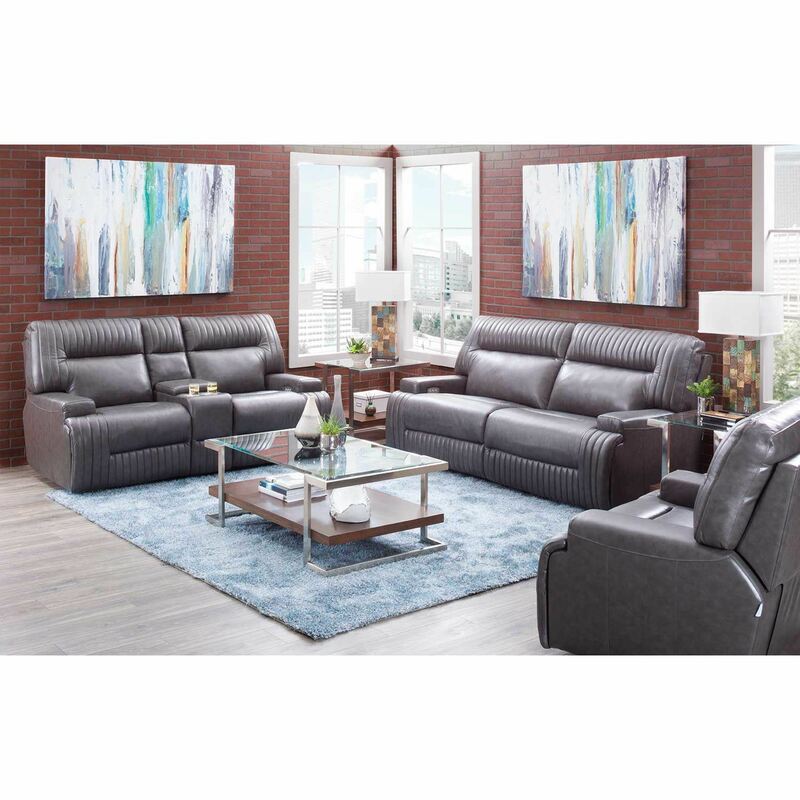 Add comfort with class to your home with the Gila Power Reclining Sofa with Adjustable Headrest by Digio. 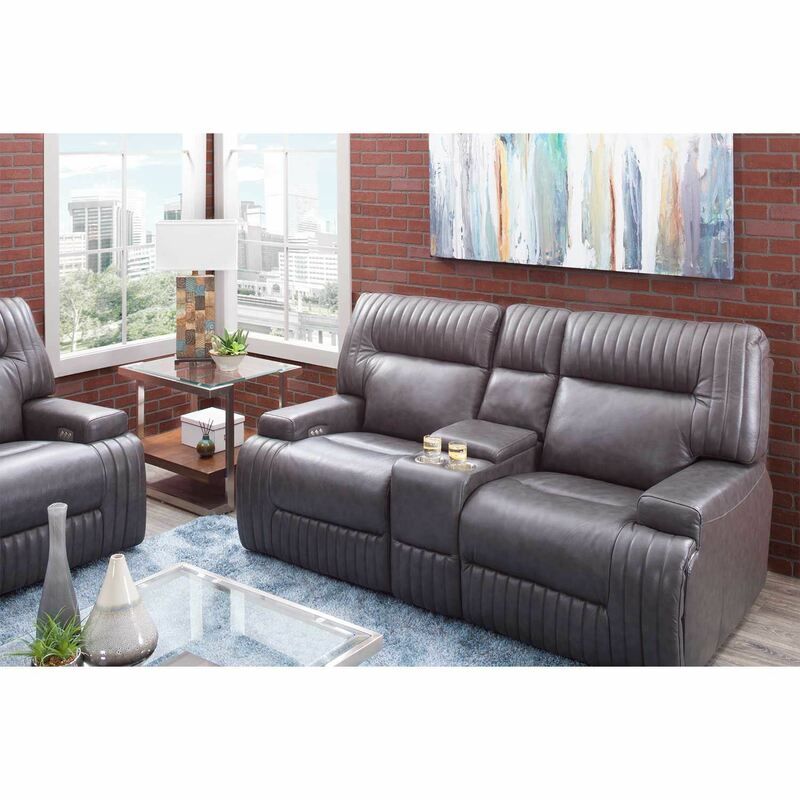 This power reclining sofa pairs clean, contemporary lines and low track arms with channel detail stitching and a soft grey Italian leather application. 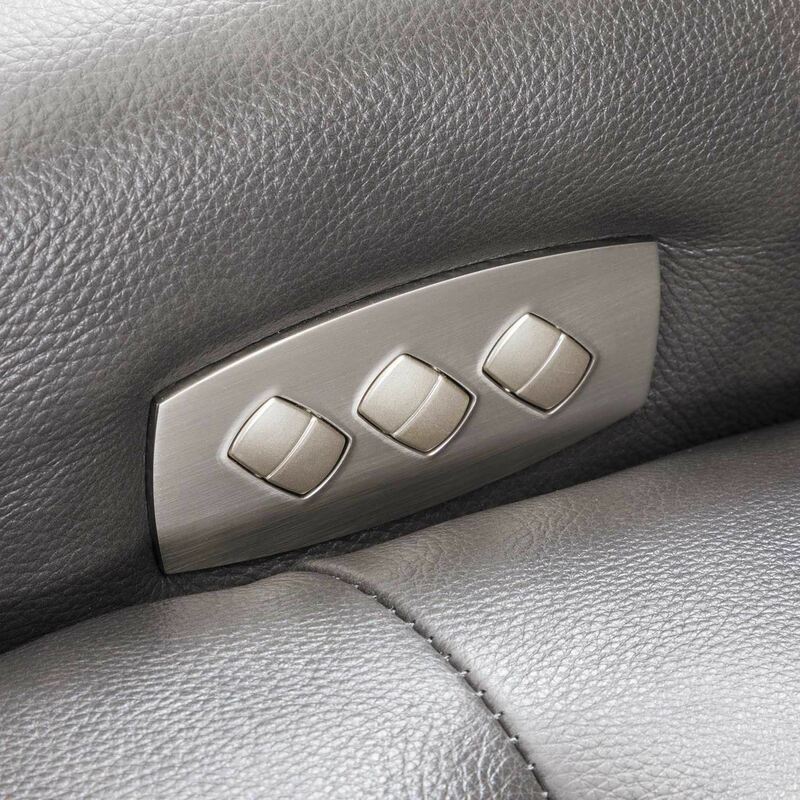 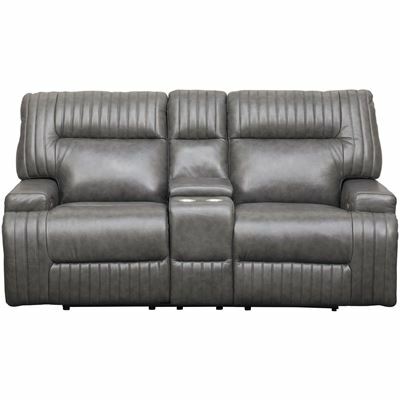 The power reclining mechanism and adjustable headrest offer infinite comfort positions at the touch of a button. 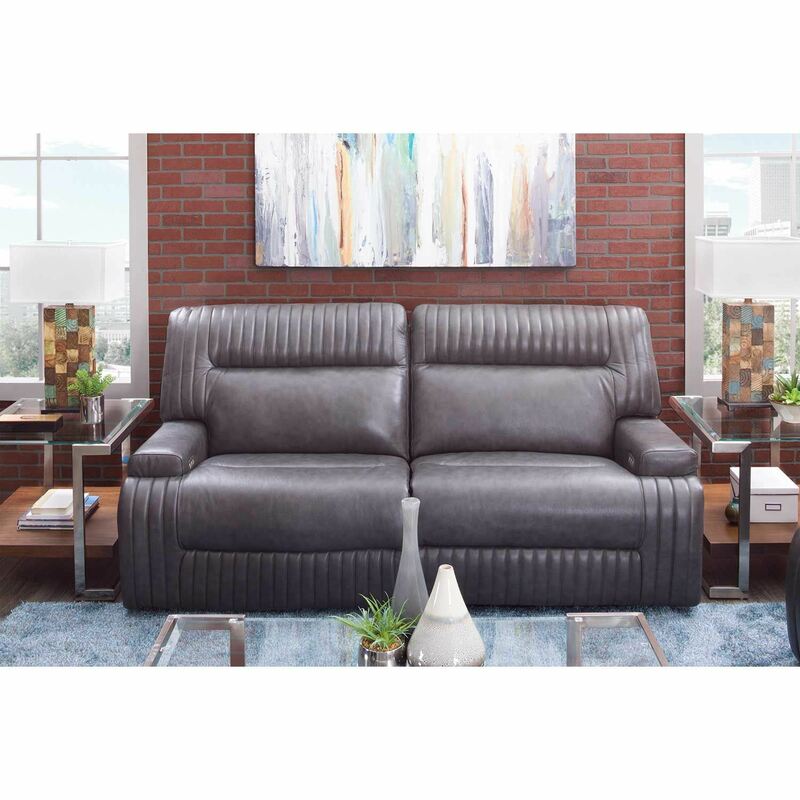 Add comfort with class to your home with the Gila Power Reclining Sofa with Adjustable Headrest by Digio. 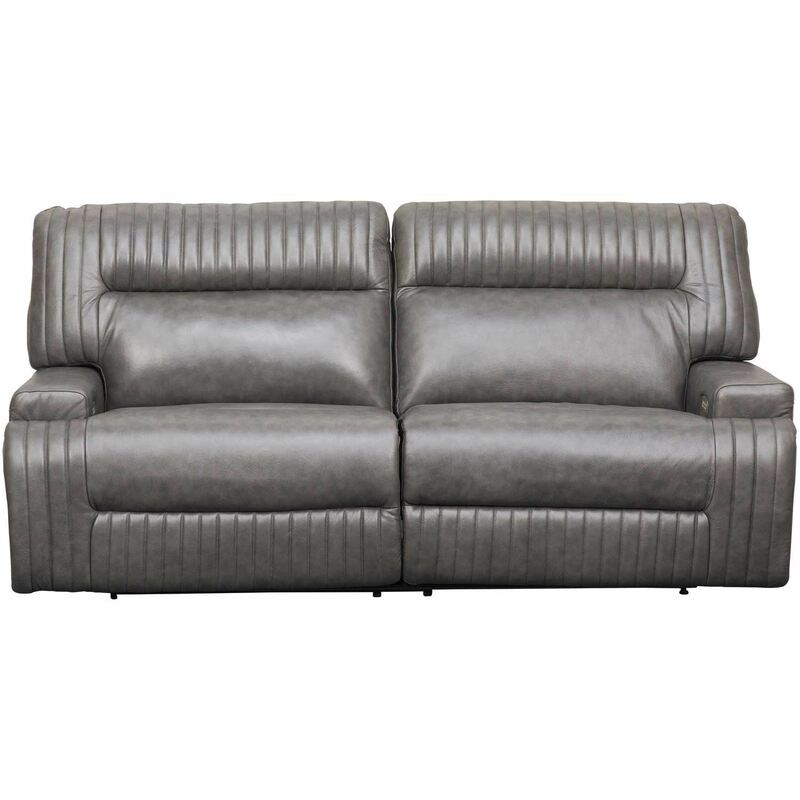 Gila Italian Leather Power Reclining Sofa with Adjustable Headrest from Digio. 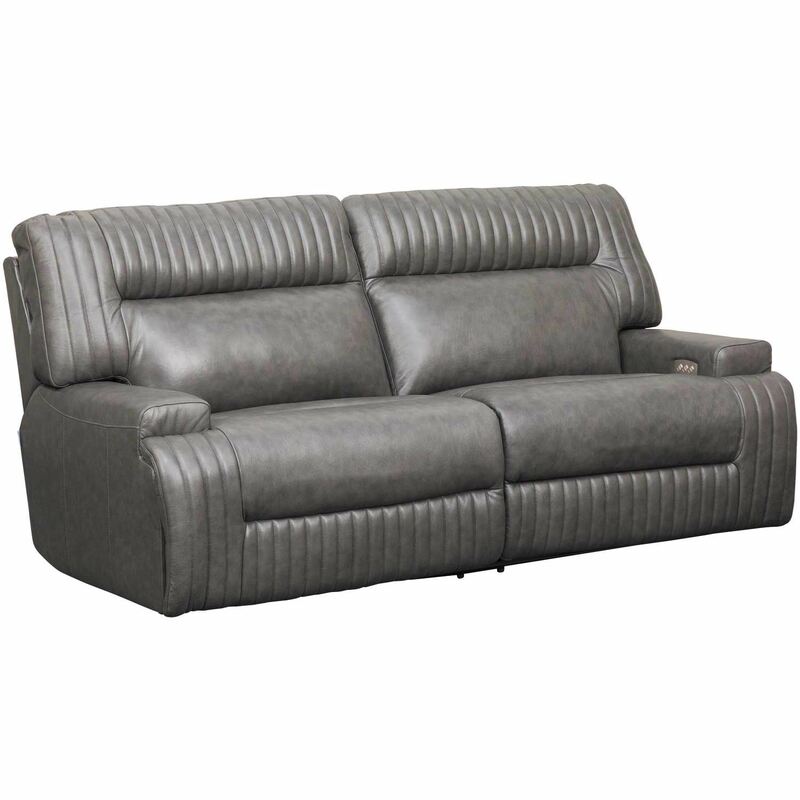 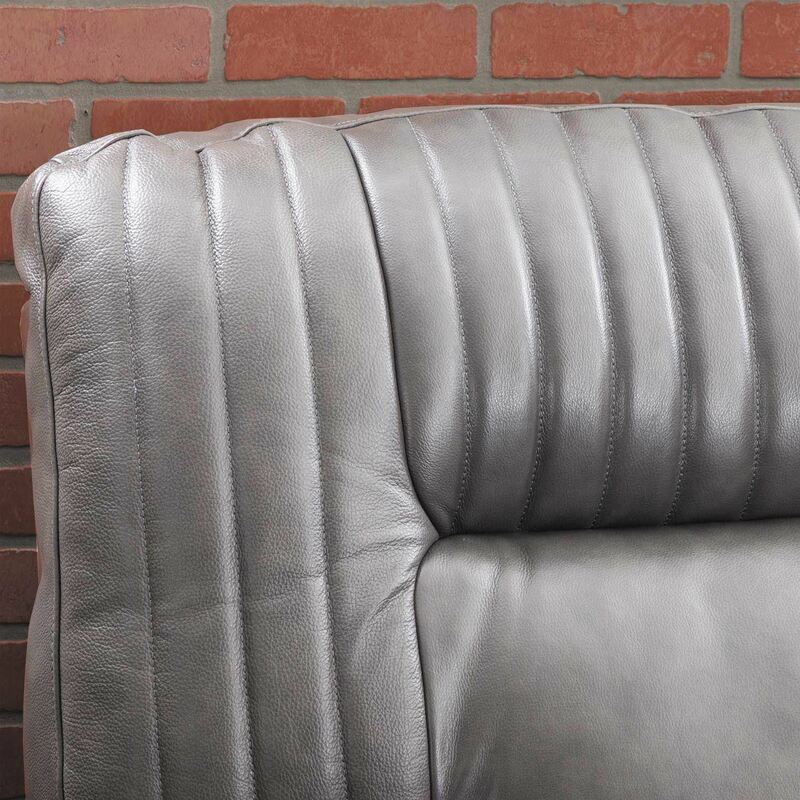 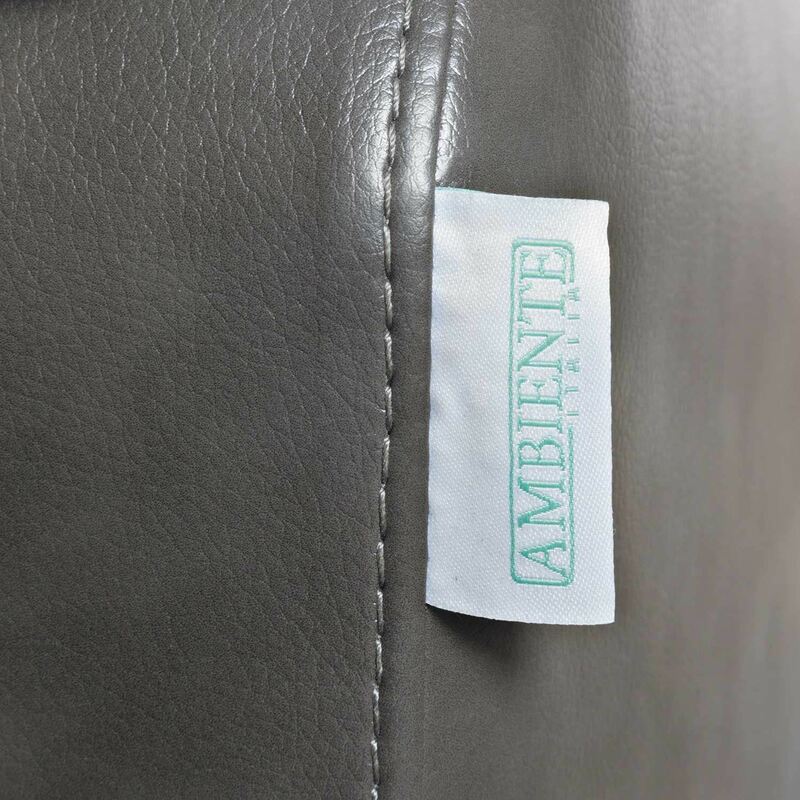 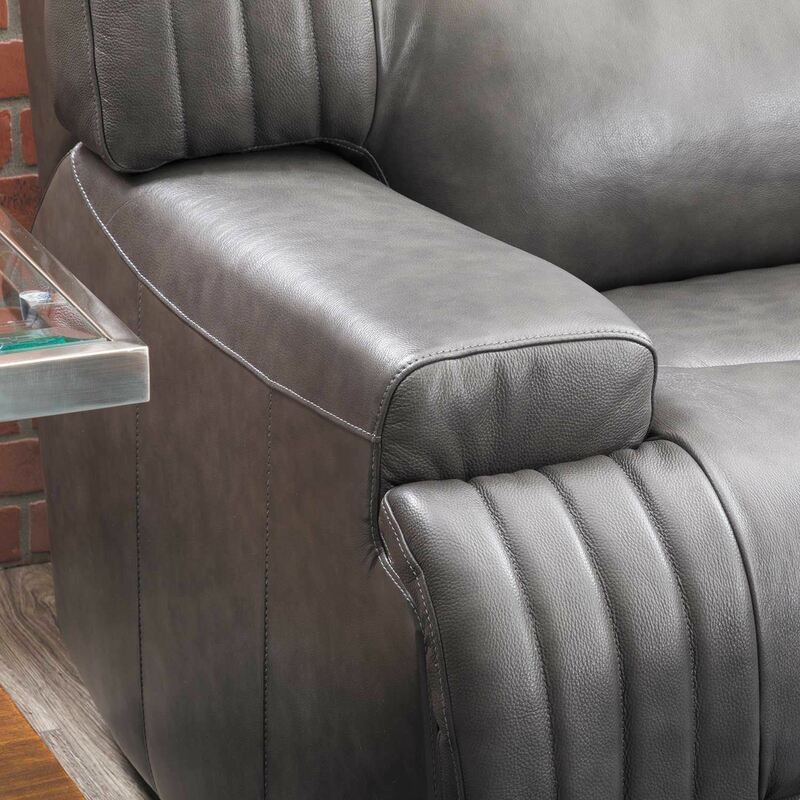 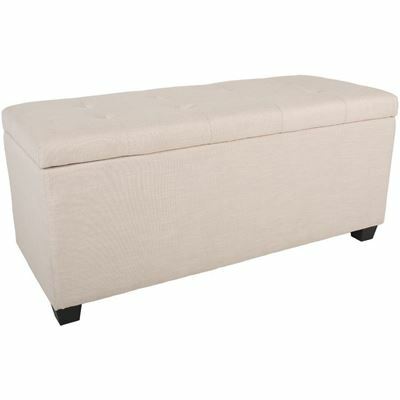 Couch is covered in an Italian leather and leather match application in a charcoal gray color. 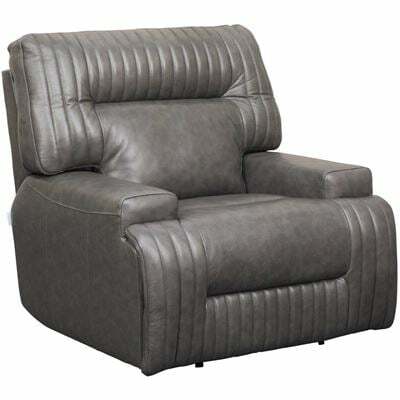 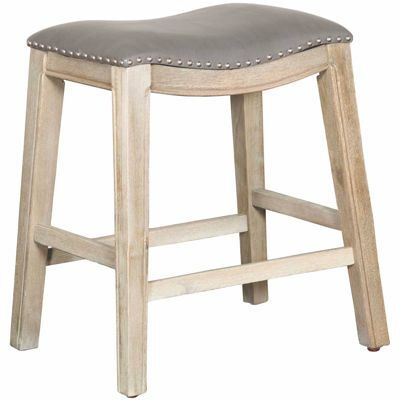 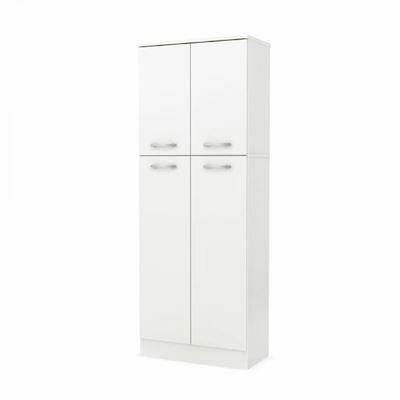 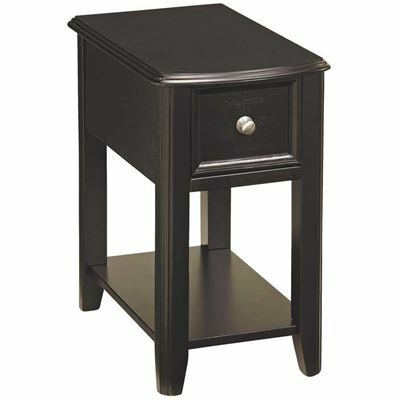 Features power adjustable headrest and power reclining mechanism.